Jamie Pyatt, 51, said payments to police officers and other public officials were common knowledge among journalists and senior editors at the daily tabloid. 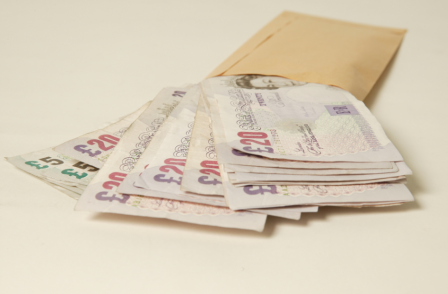 He has admitted making 24 cash payments to a Surrey Pc and a Broadmoor Hospital healthcare assistant in exchange for leaks over the course of a decade. And Pyatt, the newspaper's Thames Valley district reporter, said he made no effort to hide these sources from the newsdesk. "Did anyone at The Sun ever ring you up saying what are you doing asking to pay public officials?" asked prosecutor Peter Wright QC. "Wasn't it common knowledge that The Sun paid public officials for information?" Pyatt replied: "We did pay public officials for stories. "We all knew public officials were being paid, I accept that." Wright pressed him: "This wasn't something you just divined from things not said – you knew it from what was said?" Pyatt told Kingston Crown Court: "I couldn't have made it any clearer in my emails, you have seen my emails." The reporter, who joined The Sun permanently in 1987, has admitted paying PC Simon Quinn and healthcare assistant Robert Neave for information. He told the jury: "Sources were given to me by the newsdesk and you have seen evidence that Mr Quinn and Mr Neave were given to me by the news desk. "I made no attempt to hide it, I thought it was okay as they had approached the paper and not the other way round. "I fully accept they were paid." Pyatt accepts he saw Pc Quinn's warrant card when he first met him, and accepted payments to public officials was condoned within the newspaper. "If the story was true and judged to be in the public interest, we would pay," he said. Wright said: "I'm suggesting that phrase, public interest, had been tagged on at a later stage." Pyatt replied: "We would pay for good stories," but he admitted there is no reference to "public interest" in the files of internal emails presented to the jury. "If a story was in the public interest, it speaks for itself – it's instinctive." Pyatt is accused conspiracy to commit misconduct in public office by paying Pc Quinn and Broadmoor healthcare assistant Robert Neave for stories that were published in The Sun. He is in the dock with The Sun's former managing editor Graham Dudman, 51, head of news Chris Pharo, 45, deputy news editor Ben O'Driscoll, 38, reporter John Troup, 49, and picture editor John Edwards, who all face similar corruption charges. Pyatt said he wanted to know who the source was so that his superiors, Pharo and O'Driscoll, could see they were of value to the newspaper. "It was an open secret," he said. "But I had been passed Mr Quinn and Mr Neave so I had no difficulty when dealing with the newsdesk in making that quite clear." Pharo, giving his evidence, told the court he did not question the sources of journalists, routinely approving payments to avoid an argument and said he adopted the "line of least resistance". But Pyatt said Pharo and his deputy, O'Driscoll, had a "core of steel" and would reduce in value nearly a third of his cash payment requests. "Once I had challenged it once, I didn't go on about it," he said, of his dealings with "strong personality" Pharo. Wright asked: "Did you, in your dealings with him, get the impression Mr Pharo was a man who preferred the line of least resistance?" Pyatt replied: "He was always fair with me, but when he said no, no means no." And he accepted Pharo's "word was final", adding he would challenge if a payment to a source was reduced once, but then would accept the decision. Wright asked: "You don't get the impression Mr Pharo was just the message boy?" 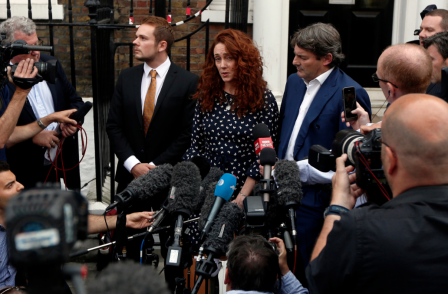 The reporter said editors, including Rebekah Brooks and Dominic Mohan, never personally challenged his payments to sources becayse they did not micro-manage the newsroom. "Would the editor ever come down the chain and ask where a story had come from?" asked Mr Wright. Pyatt said: "On some stories, yes. "On some stories, they would say: 'Okay, this is great, where's it come from?'." Pyatt also told the court the Pc Quinn selling stories to The Sun was not nobly trying to expose wrongdoing. The reporter said he knew what his leaks were worth to the paper, and was motivated by financial gain when he got in contact. "I wouldn't say he was noble," said Pyatt. "He was offering stories that he thought were good stories. "He was very aware I was only interested in major stories." Wright said: "He wasn't a man motivated by a desire to expose public wrongdoing by public officials?" "He knew what a story was worth, and that was the motivation." Pyatt said he only went to Pc Quinn for information on major stories, and was not interested in celebrity scandals. He said Surrey is home to plenty of stars like Cliff Richard and Mick Jagger, but said he stuck to crime stories with Pc Quinn such as the murder of schoolgirl Milly Dowler and the attack on pregnant mother Abigail Witchalls. He told the court O'Driscoll was aware that he had a Surrey Police source and never raised any concerns about it. "He was aware I had a Surrey Police contact, he didn't get angry about it," he said. The court was shown a March 2006 an email from Pyatt to Pharo and Edwards asking for a £250 "bung" to a police officer "who tipped us off to the school teacher stabbed to death with a pair of shears by his son's best friend". Pyatt claimed the tip had given The Sun a "six hour lead over our rivals". Wright asked: "Once the stories have been printed, there will be a payment, and it's not as though you are seeking a payment for a prospective story. "The people receiving this email are both in the know about a practice of paying a public official for a story. "So there would be no reason for you to lie that he was a police officer?" Pyatt replied: "No, I accept what you are saying." Wright continued: "What it demonstrates is you are saying that the value of this police officer is that this police officer gives us information that was not publicly available. "Do you agree the content of the email is to that effect?" Pyatt replied: "Yes, I do." However, the reporter repeatedly insisted he did not have a police source in Hertfordshire, where this incident happened, and added he was unaware whether his tip had given The Sun a lead over its competitors. Pharo, of Wapping Wall, Wapping, east London, denies four counts of conspiracy to commit misconduct in public office. O'Driscoll, of Adelaide Sqaure, Windsor, Berkshire, and Dudman, of Darcy Close, Brentwood, Essex, both deny three counts of conspiracy to commit misconduct in public office. Edwards, of Hanging Hill Lane, Hutton, Brentwood, Essex, and Pyatt, of Orchard Ave, Windsor, deny two counts of conspiracy to commit misconduct in public office. Troup, of Horn Book, Saffron Walden, Essex, denies one charge of misconduct in public office. All six defendants have been cleared of an overarching conspiracy to pay public officials, while Pharo was found not guilty of paying a Sandhurst soldier.